Click here to view your metrics! The CAVE Velocity and Strength program has been re-engineered for high school baseball players to create a base that will develop into a stronger and healthier arm, and a template for in-season arm care. Simply stated, this program will add velocity by producing strength, speed and a cleaner arm action. This program is designed to benefit both pitchers and position players who are looking to achieve these goals. The CAVE program will entail the most researched and science based methodologies. 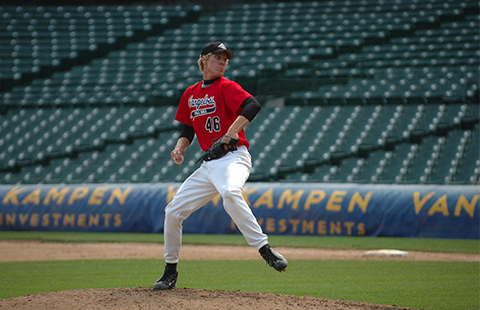 Our program is a collection of some of the greatest minds in pitching when it comes to arm care and injury prevention. It will also be implemented in adherence to Dr. Andrew’s PitchSmart Guidelines. First month deposit is due at the time of signup. You will be charged $350 ($315 for members) on December 10th, January 10th, and February 10th. We have designed a program that is a culmination of the latest in velocity training but also retains the traditional methodologies that have worked for generations. We feel that a combination of the latest in science and time tested approaches are what each player needs to develop a game plan to not only make their arm stronger but also more resilient. Below are the some of the methods and goals of the CAVE program.